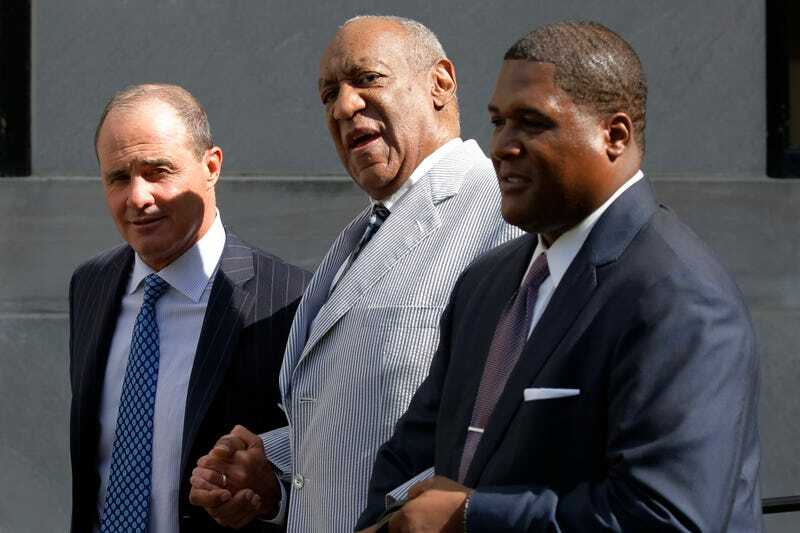 Comedian Bill Cosby (center) leaves the Montgomery County Courthouse in Norristown, Pa., with his criminal-defense lawyer Brian McMonagle (left) after a pretrial conference related to aggravated indecent assault charges involving former Temple University employee Andrea Constand on Sept. 6, 2016. Cosby is going to court in June and is facing three charges of felony indecent assault stemming from an alleged 2004 incident involving Andrea Constand, a former employee of Temple University. According to CNN, Cosby's lawyers said prosecutors are attempting to use other accusers' stories to fuel the trial and have "chosen to turn this case into a platform for Mr. Cosby's other accusers to air their even staler, long-ago time-barred claims that were never reported to authorities." The lawyers also stated in the motion that "without his eyesight, Mr. Cosby cannot even determine whether he has ever even seen some of his accusers, let alone develop defenses and gather exculpatory evidence." Cosby's motion will be heard by the judge and decided on Tuesday.